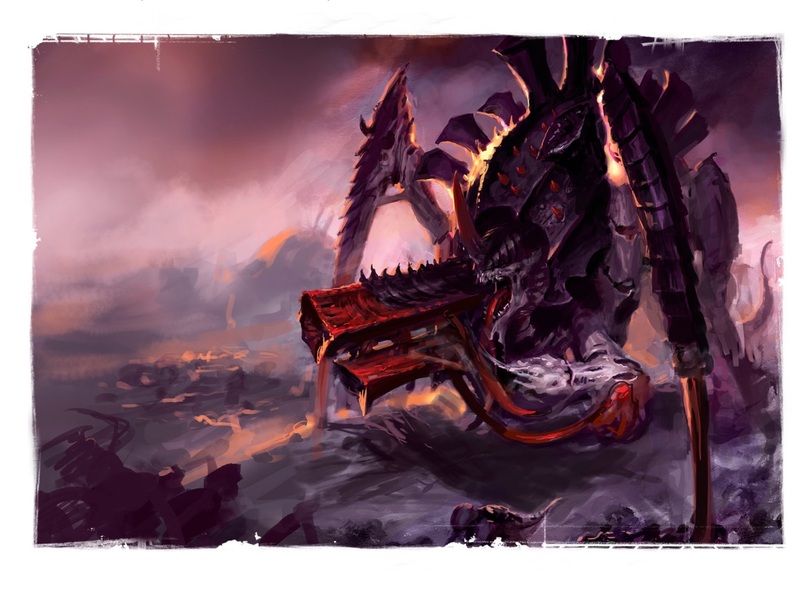 The Tyranid Invasion is now a undeniable fact. Billions of organisms have made planetfall and the devourering of the world’s biomass has begun. To break the last defenses left the Hive Mind unleach its Monstrous Creatures upon the enemy’s strongholds. With a unit of Warriors, three broods of Carnifexes and a Tyrannofex you got a Bioblast Node. The models gain Split Fire and the Bio-deluge rule which allows them to re-roll 1s to wound if within 12″ of the Warriors. Split Fire allows you mix it up a bit, both on individual models and in the broods. Quite good. If you want a threat that your opponent must deal with, look no further. This formation is a unit of Warriors and three Carnifex broods. The Rampage of Destruction rule give the Carnifexes 1D3+1 Hammer of Wrath attacks and if within 12″ of the Warriors a re-roll 1s to wound. Quite “cheap” as it starts at 450 points. I think it would mesh well with Manufactorum Genestealers for a massive threat overload. This formation uses a walking Hive Tyrant, a brood of Tyrant Guard and a brood of Venomthropes (this is really good, as you need all the elite slots you can get). The Tyrant gain +6″ synapse range due to the Command Node rule. Add the Norn Crown Bio-Artefact and the Dominion Psychic Power and you got yourself a 30″ synaptic range. Remember to protect the Tyrant well, because you just painted a big target sign on it. Now this could have been so cool but this formation fails in more than one way. First, it’s huge with a Trygon Prime, a Trygon, a Mawloc and three broods of Raveners. More or less half your army. The They Came From Below … rule make the formation roll the reserve roll as one. When they enter, deep strike the Prime first and then set up the Raveners within 6″ of the Prime, losing any models that can’t be placed (on a crowded battlefield you have choose between losing models or entering away from the enemy). Remember that Raveners normally move 12″ but due to the formation they are restricted to 6″ when they enter. The Trygon and Mawloc just do their thing on the side. Weird. The original and first formation of formations. All models gain Fear, synaptic creature see their range boosted while the Tyrant Node Tyrant lives due to Synaptic Command Network and while the Tyrant lives you get to re-roll all failed respawning rolls as per the The Swarm Unleached rule. Awesome. Now just muster up three Endless Swarm formations, a Skyblight, a Tyrant Node, a Wrecker Node and a Synaptic Node. Epic! That wraps up the Rising Leviathan formations. Some are awesome, some not so awesome. All are worth checking out. 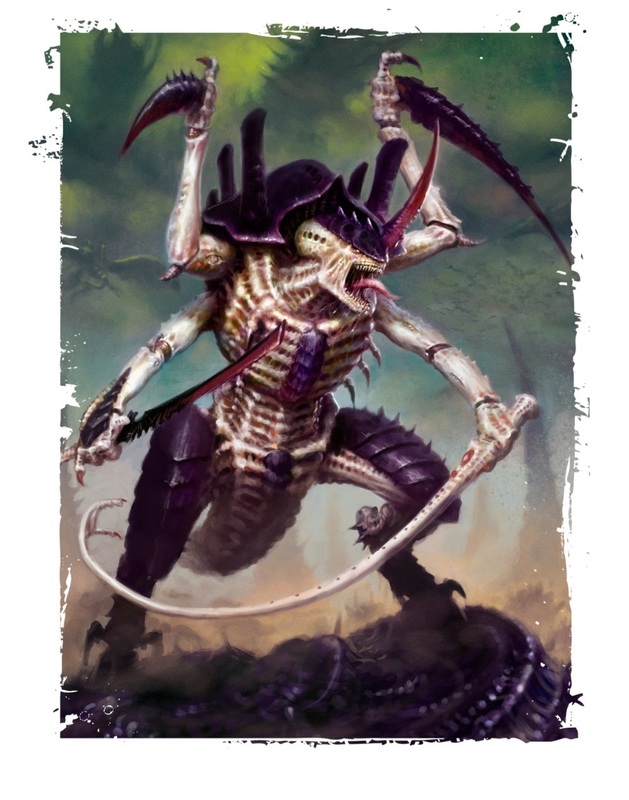 Most units in the Tyranid codex are pretty good. But almost all come with something that makes them a bit lackluster. These inherent “faults” that most units have can be overcome by creating synergistic effects throughout your army. Formations really help making synergies happen. The review is just as good as the last two,but the part I really loved is the great ‘nid art! Well done! It really adds a little something to the article that makes it much nice to read. The art is from Shield of Baal. Brilliant campaign. I agree with Alex. 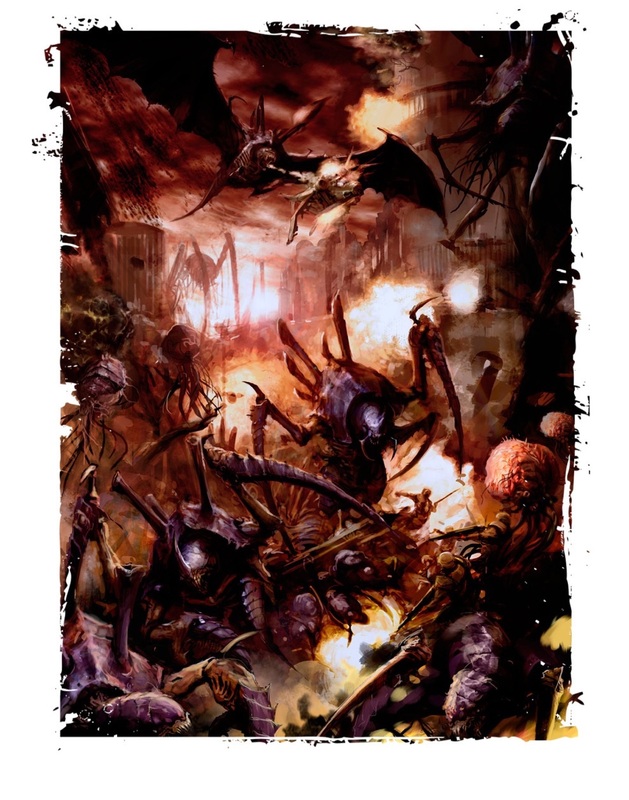 I jd no interest in Tyrannids until I came across your Blog. Really cool man. I will definitely invest in some later down the track!